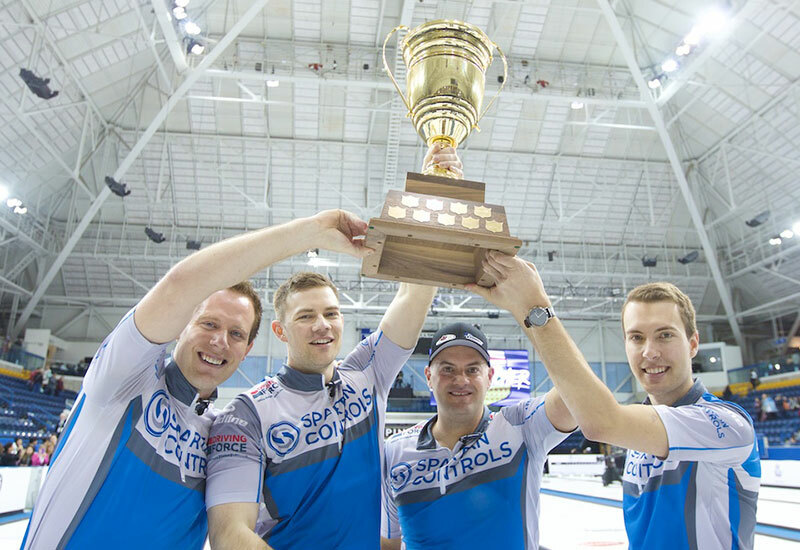 REGINA, Saskatchewan - By Rory McCusker - A near perfect playoffs for Team Canada's Brad Gushue (photo by Anil Mungal) means he and his Newfoundland and Labrador-based team of Mark Nichols, Brett Gallant and Geoff Walker capture their second Tim Hortons Brier title. Unlike the smooth sailing for Gushue his team enjoyed during the opening week here in Regina, where their incredible shooting led to only two stolen points given up throughout the entirety of pool play and playoffs, Brendan Bottcher and his Alberta rink of Darren Moulding, Bradley Thiessen and Karrick once again challenged Team Canada in the Final of the Tim Hortons Brier, forcing Gushue to make a perfect draw to the pin to win the game. Entering the first ever championship pool on thursday, there were 5 teams neck and neck with 2 or fewer losses, including Gushue at 1 loss. "Once the top teams were in that pool... you could see the level of play raised by everybody," reflected Gushue post-game. 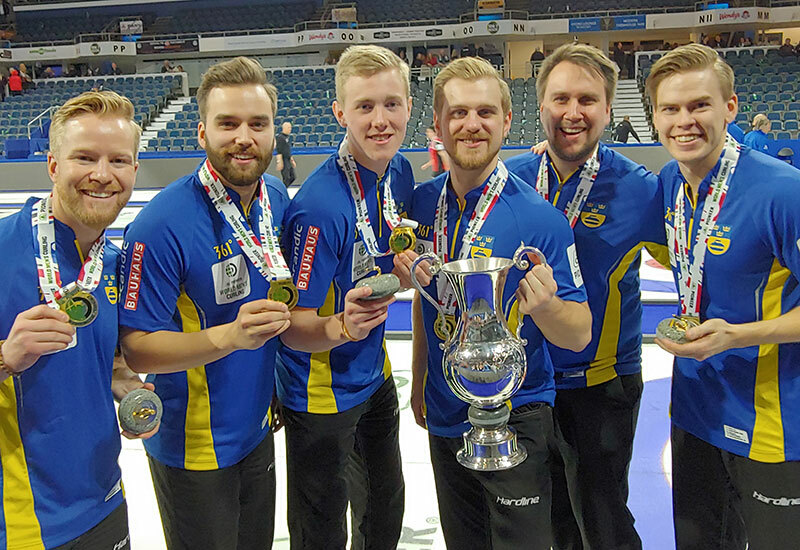 Gushue is among the top ranked in the world, but not many would say they would have an easy path to this Tankard victory given the talent in the championship pool. After finishing pool play at 11-1, where Gushue finished first overall, then achieved a clinical victory over an Ontario team skipped by John Epping, who had also went on a dominant run to capture a berth in the 1vs2 game. Epping had found a way to win in many close games this week, but was no match for a 100% performance by Gushue and 95% performance by Nichols. Next up, it was Brendan Bottcher and his Alberta Team who came out of the 3v4 game, with wins over Brad Jacobs and then Epping in the semifinal. After two blank ends in the Brier final, Gushue scored two points in the third. The next end, Bottcher was forced to one point. After a near perfectly played open end by Canada, they scored another two with hammer in the fifth end. 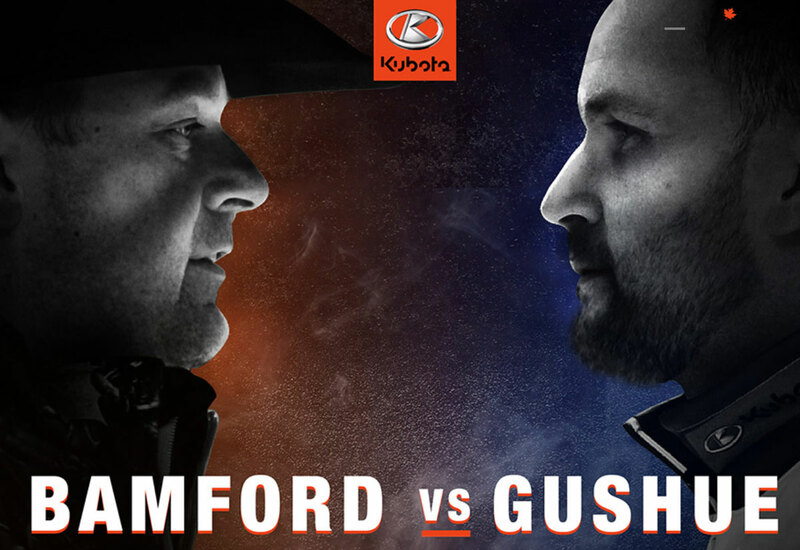 Historically against Gushue, this situation does not go well for his opponent. A 4-1 lead is a tough one to claw back from. Unfazed, the young Alberta team found a way to fight back into the game. After a blank end, Bottcher scored a single in the seventh end. A key force to one in the eighth end gave Bottcher and Alberta the hammer back in 9, and after capitalizing on a rare miss from Nichols, Alberta scored two to make it a one point game. The tenth end was thrilling for the Regina crowd, after a flashed tick attempt by Team Canada lead Geoff Walker, Alberta made every shot in this tenth end to set up a steal point, with a center guard and shot stone biting the side of the button belonging to Alberta. Gushue, confident as ever, with his sweepers putting the finsihing touches on a perfect draw to the pin to capture their second Brier title in as many years. After completing a very impressive run into the playoffs, and scoring two straight victories against former Olympic gold medalists Jacobs and Northern Ontario, along with a sound victory in a well played semi-final against Epping, Bottcher and his Alberta rink enjoyed a very successful week at the Brier. Of the many great moments this week, handing Gushue their only loss in the round robin has to rank near the top. Bottcher’s shooting percentage was third amongst skips this week behind only Jacobs and Gushue, and his sound victories against the other top teams of Gushue, McEwen, Carruthers, Epping and Jacobs(twice) has to be satisfying for this team. Bottcher's record at the 2018 Brier against the forementioned teams was a whopping 5-1. Ending the final game shooting 88% as a team, this has to be a satisfying week for this Alberta squad that has contended for years with these top teams, but has never gotten championship results at the highest levels. 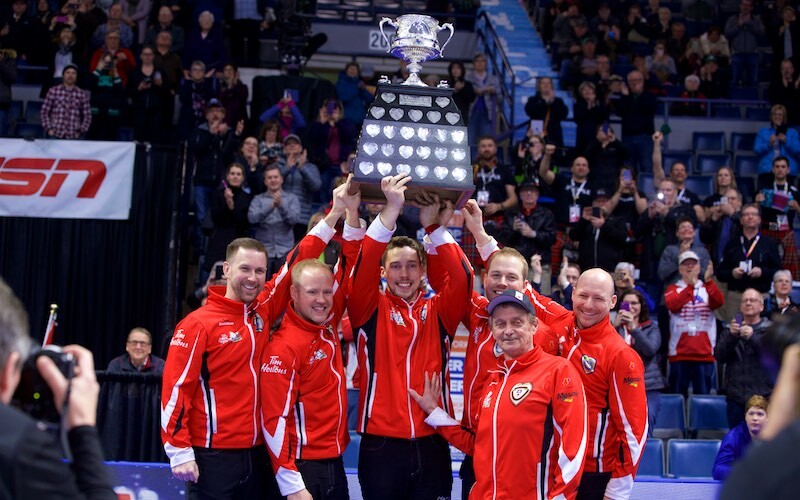 Gushue cited many times his team’s new attitude this year after finally capturing the long awaited Brier title last year at home in St. John's. "I can't emphasize enough how different this feels from last year, how free we are," Gushue said after his win against Epping in the 1vs2 game on Saturday. 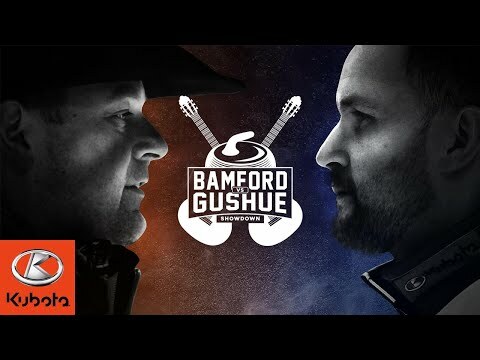 The tandem of Nichols and Gushue were virtually bulletproof this weekend when it mattered most, with Gushue curling 100%, then 96% in his two playoff games, with Nichols 95% and 91%. 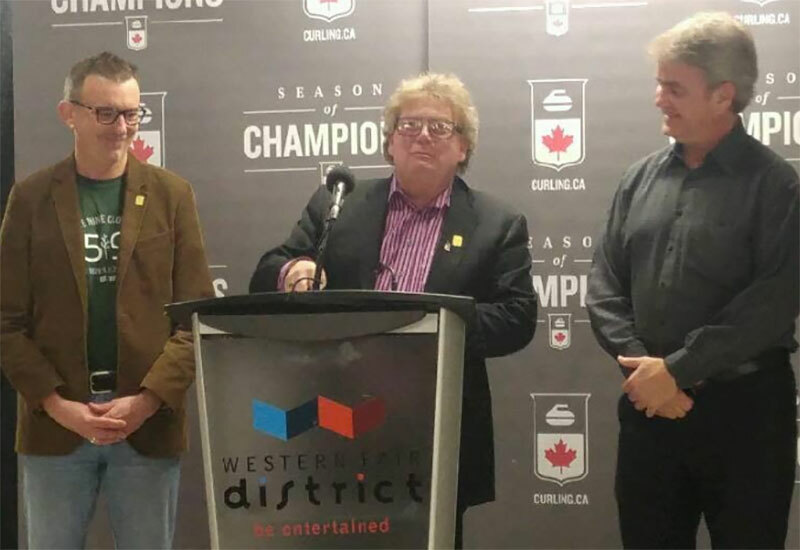 With the win, Gushue now heads to Las Vegas, Nevada for the World Men's Curling Championship, helded March 31 to April 8 at the Orleans Arena. Tickets for the World Men's are priced from just $25 for single draw and 4 day mini packs start at $199. 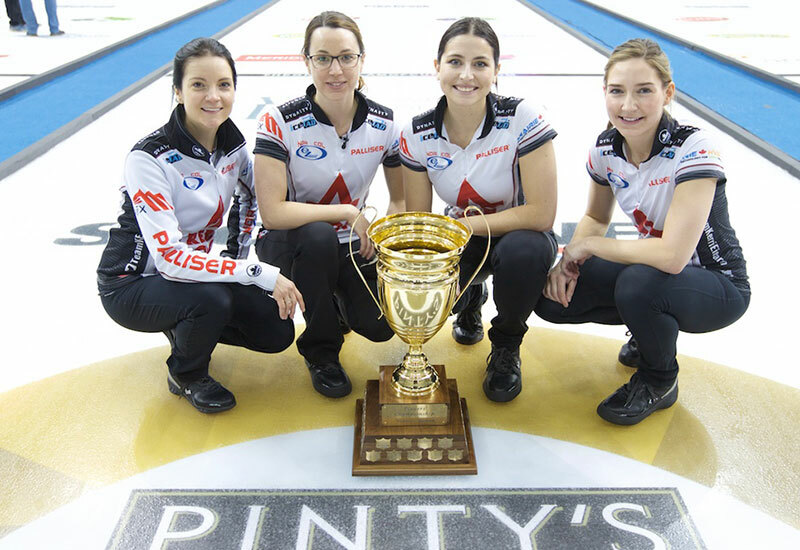 All tickets can be purchased at the Orleans Arena Box Office, or online at LasVegasCurling.rocks.